Combo Shrink Systems provide a quality shrink packaging solution in a compact footprint. Systems are available as automatic combo systems or semi-automatic combo systems. 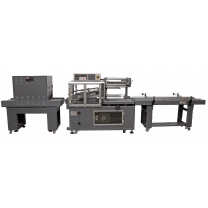 Combo systems are available in greatly equipped heavy duty combos, or you can find more compact sizes and customize your options with a standard duty Combo System. 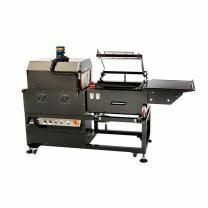 L-Bar Sealers and Heat Shrink Tunnels are combined in one industrial shrink wrapping machine to provide tightly wrapped packaging solutions. First, sealed in a bag using the L bar sealer, the package then moves to the shrink tunnel where the film is heated and shrinks around the package. 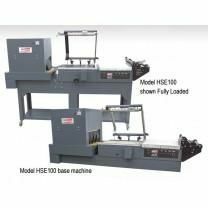 Shrink wrap machines are used to provide a transparent, tightly wrapped package. Practical and cost effective, shrink packaging is great for packaging boxes, cartons, multi-packs, and beverage cans.